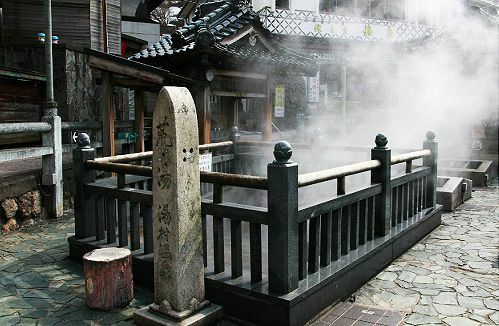 Yumura Onsen is a quiet town known for its healing hot spring waters, founded in 848. Every minute, the natural hot spring pumps 2,300 litres of hot water into the river in town. 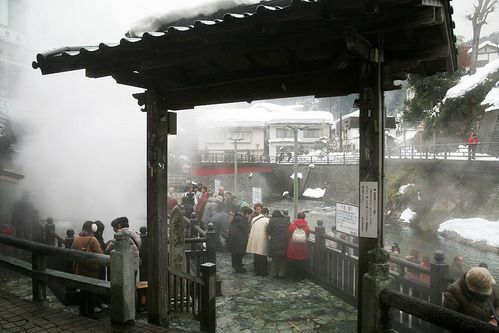 In winter, you can see steam rising off the surface of the water in town, creating a must-see atmosphere. 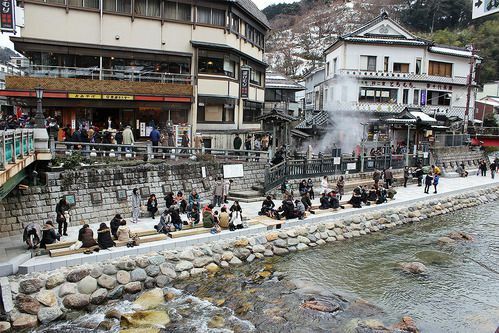 At the heart of this onsen town is "Arayu", the high temperature water source. The water flows naturally at 98 degrees Celsius and you can see the local people using it in various ways, such as cooking. The flow from Arayu is divided into two sections, upper and lower. The upper part is for items that do not give off bitter scum, such as eggs. Whereas, the lower section is used for items that do give off bitter scum, such as mountain and root vegetables. 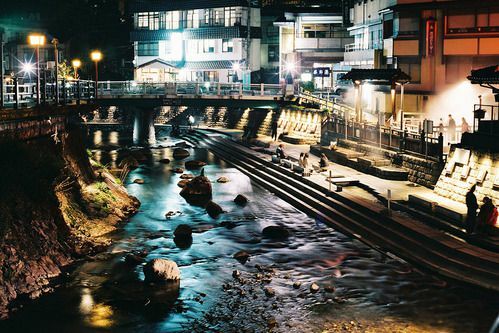 When you visit Yumura Onsen, why not check in a little early, change into yukata and geta, and take a stroll to Arayu. You can cook an egg in the water and soak your feet in the neighbouring foot bath while you wait.